The world’s most sought after coffee. In 1746, British Navy Captain Matthew Wallen had an aspiring passion for botany and began to grow coffee plants in the Blue Mountain region just 20 years after it had been introduced to Jamaica. Since then, there has been a rise and fall in coffee cultivation with demand, terrain and the climate all being major factors. In 1891, legislation was passed by the government and coffee cultivation was considered an art. Various instructors were sent to coffee growing districts and the first education into coffee growing began. From then on the market grew and in 1950 the ‘Coffee Industry Board’ was founded which gave Jamaica Blue Mountain coffee a protected status. To this day, only coffee grown in the precise geographic location can be classed as 100% Jamaica Blue Mountain, with a certificate of origin sent with each barrel. The Blue Mountain region spans across four main parishes; St. Andrews, Portland, St. Mary and St. Thomas. Of those four, the Wallenford estate occupies 5,000 acres across St. Andrews in the south, and Portland in the North. 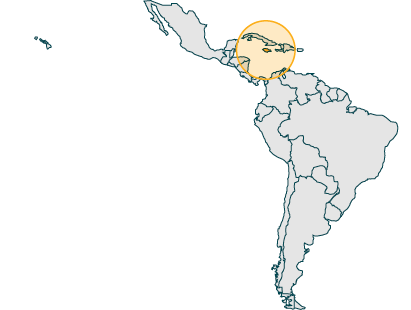 Arising 2,300 metres above sea level these are some of the highest mountains in the Caribbean. Not only do they offer outstanding views but also a rich plethora of nutrients and continuous rainfall for the coffee to thrive. As well as owning the plantations, the Wallenford estate also have high quality pulping factories for producing the best coffee beans. This is the first stage of coffee processing whereby the beans are separated from the skin (pulp) and are washed. Often soaked in water to enhance flavour. They are then sent to the Tarentum drying & finishing works before the are ready for export. They are sorted, graded and hand packaged here also. When the beans arrive at Adams + Russell, the precision and passion is only continued. Roasted medium in small batches ensures that the beans will be as fresh as possible. The roasters contain a open flame by which the beans are exposed to. This seals the flavour early in the roasting process and gives an intense aroma. The beans are hand packed and sealed and will be ground fresh should you require it. The end product is a clean, delicate and pure coffee with the pleasure of drinking the world’s most prestigious brew. The passion that goes into this coffee is seen in every stage of production, resulting in the perfect flavour. A subtle floral aroma is present with a good balance of acidity and pristine finish in the mouth. Certainly one to try if you wish to indulge. The Most Expensive Coffee in the World? If you would like to know the answer to this question and find out even more interesting information, you can read our blog post on Jamaican Blue Mountain Coffee here. 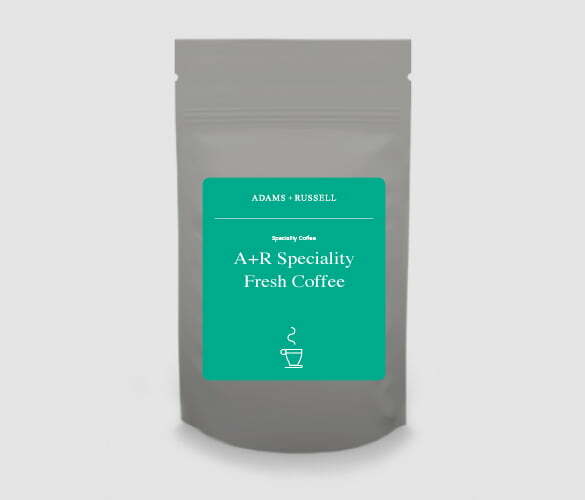 I have bought this coffee on two occasion now from Adam & Russell. Both times from a food fair. I am now buying it a third online. I bought it the first time to see what the hype was about. I bought it the second time time because I love it so much and I have had to eat humble pie from my friends and the third and subsequent times because it is so good. It is the Cru of coffee’s. If you think it looks on the pricey side, when you taste it you will know why. Thank you boys for always stocking this when others are to afraid to be bold enough.